For long term let bookings and enquiries, contact . or email us at: bookings@cefncwmwdcottages.co.uk. Our stylish, long term lets offer a high standard of accommodation. 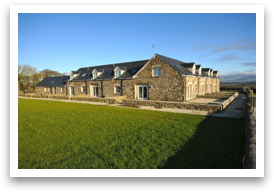 Completely refurbished, these stone-built period cottages are set in a self-contained courtyard with views overlooking beautiful rural Anglesey. Tastefully fully furnished cottages two bedroom and open plan living room kitchen. 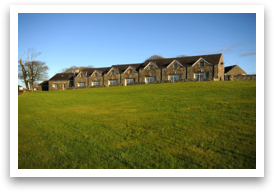 Luxury 2-3 bedroom stone cottages, built to highest standards. Cottages are fully furnished. 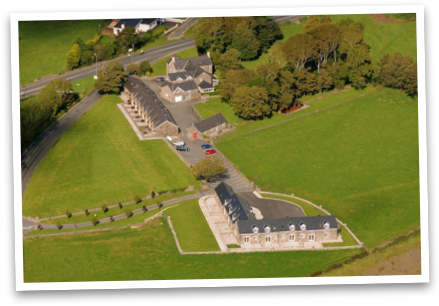 An aerial view of the Cefn Cwmwd farm and converted stone cottages showing its magnificent setting in five acres of gardens.